Youth had their opportunity to showcase their learning to peers, whanau and their wider community. 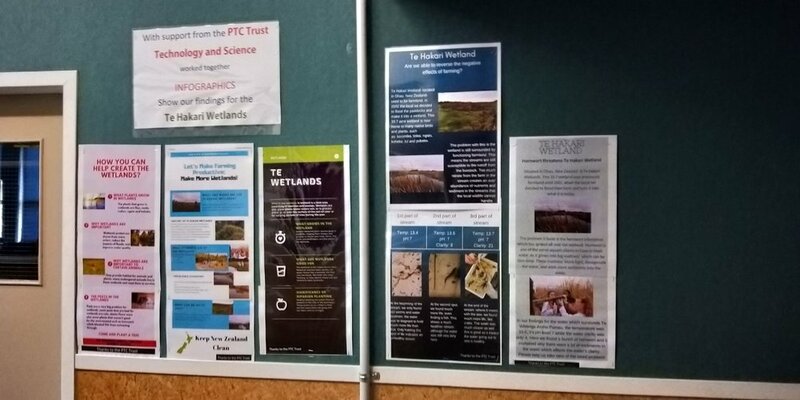 Students created displays on the significance of wetlands at Te Hakari, on the value of sand dune planting and on the need to keep our rivers clean. 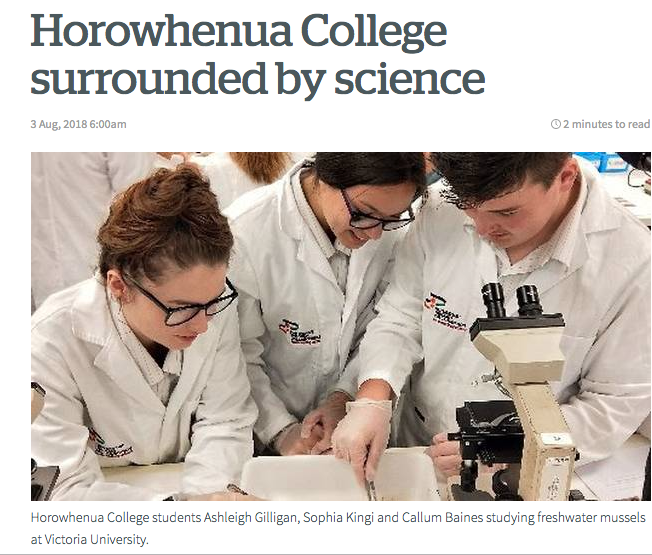 Utilising a range of digital media, the art of expressing science was explored as rangatahi discussed the utility and appropriateness of different media in communicating the science learnt. These are currently featured on the school's facebook page. Digital presentations were well received by peer and whanau. Rangatahi are currently showcasing their learning at the Te Takeretanga o Kura-hau-pō - a learning place where knowledge is sought, maintained and dispersed. The displays are designed to to raise awareness of the value of our rivers and wetlands to whanau and wider community. PTC continues to empower our youths to express kaitiakitanga in many different ways, whether through planting native species, testing river quality or raising awareness to the wider community. The responsibility of kaitiakitanga is embraced by the future generations.